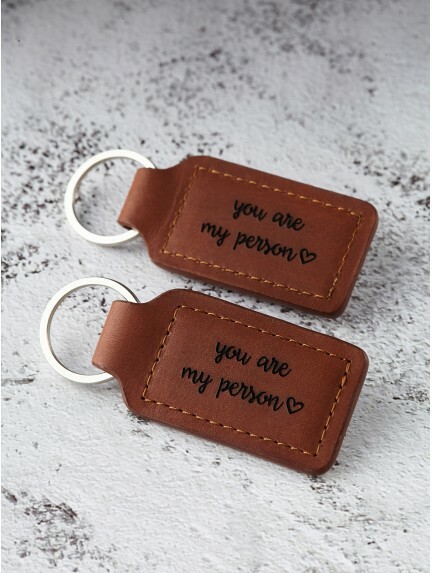 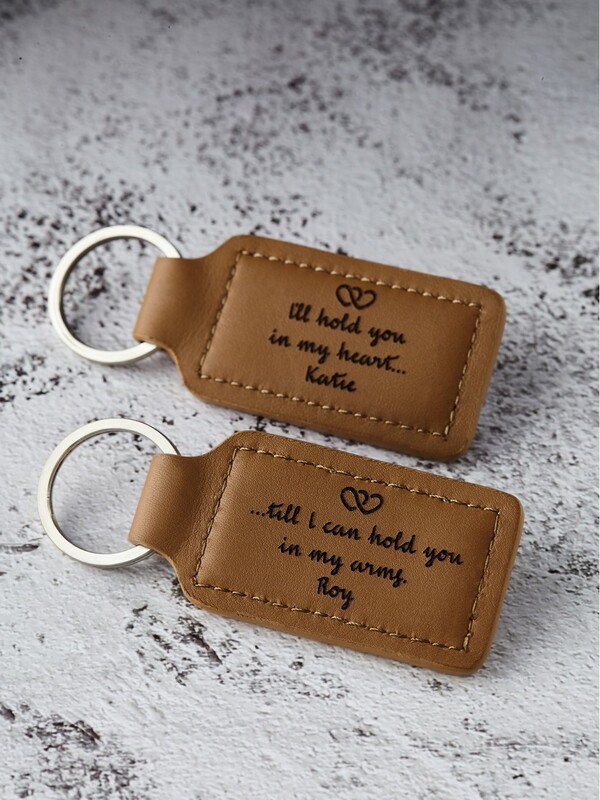 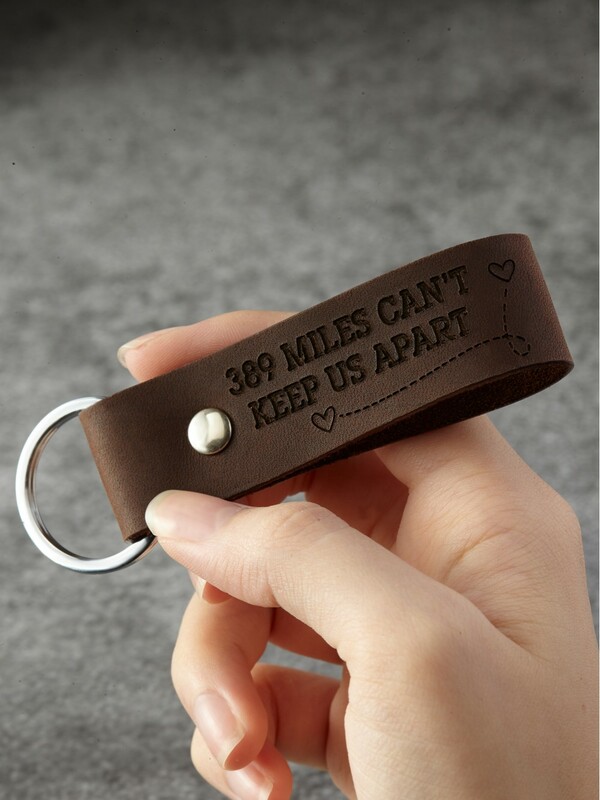 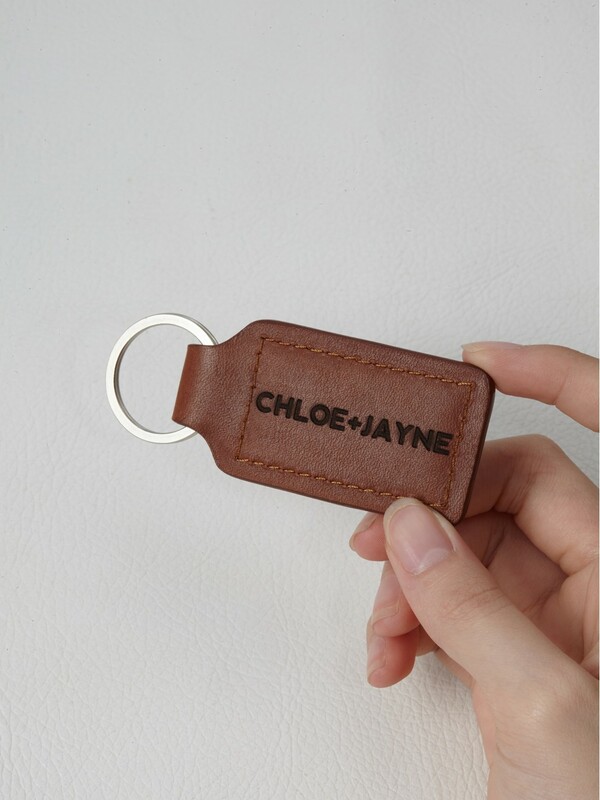 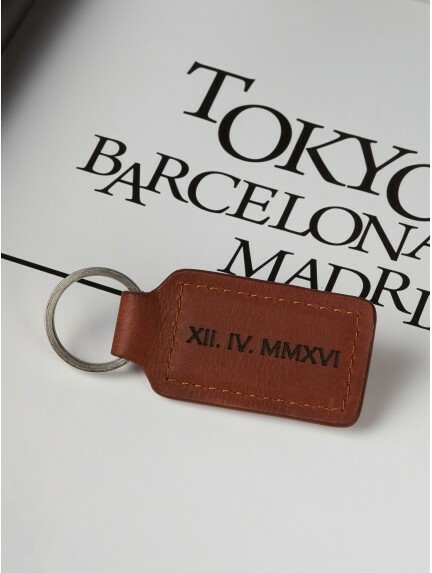 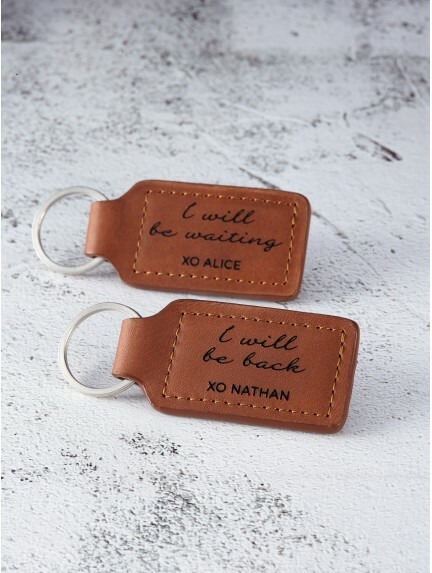 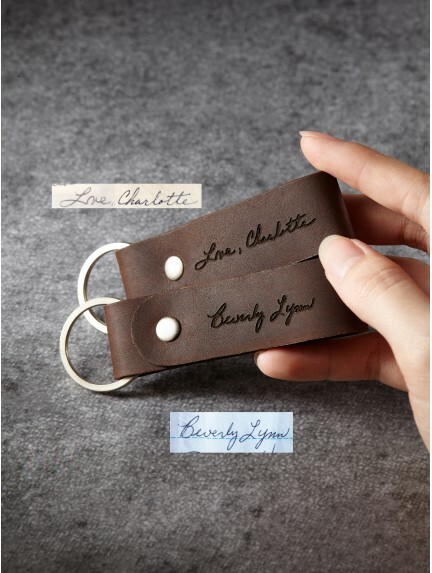 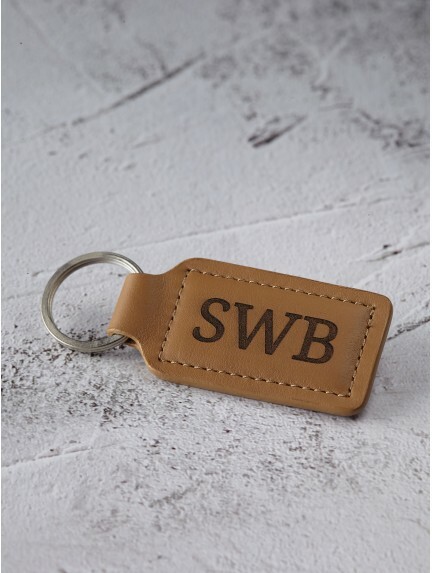 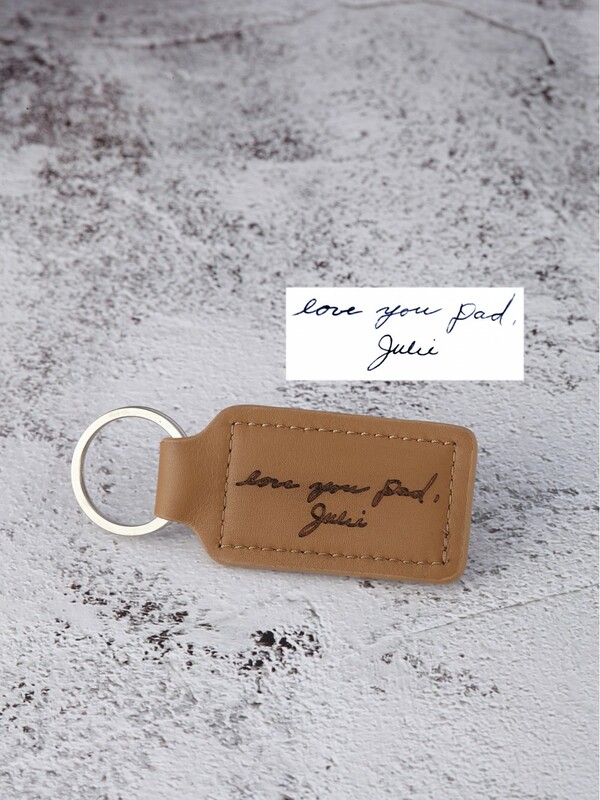 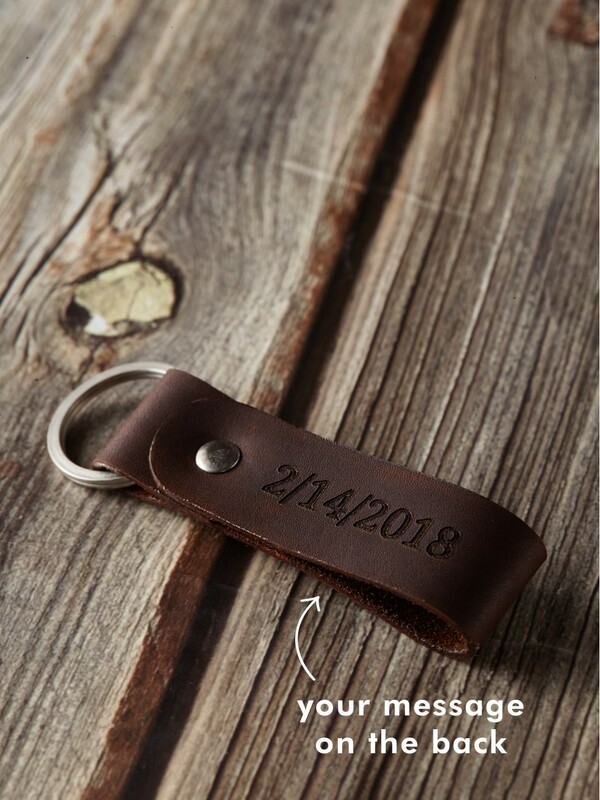 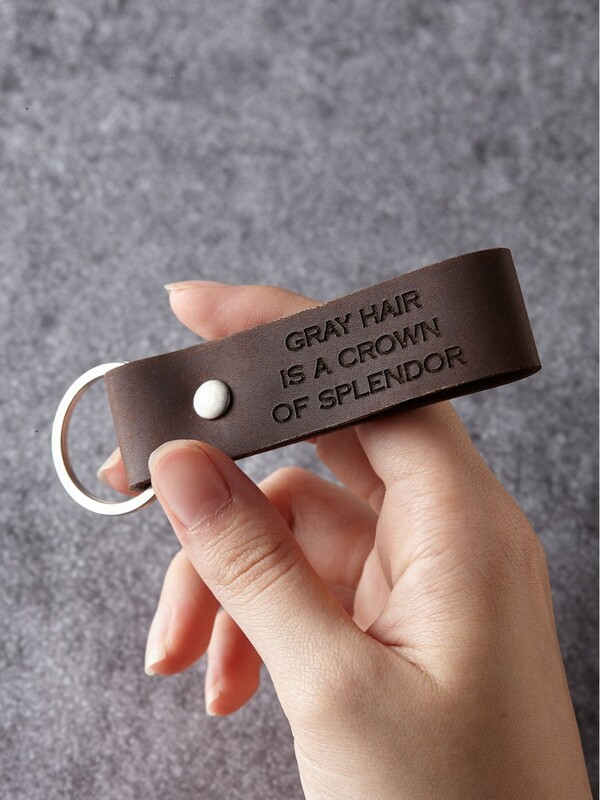 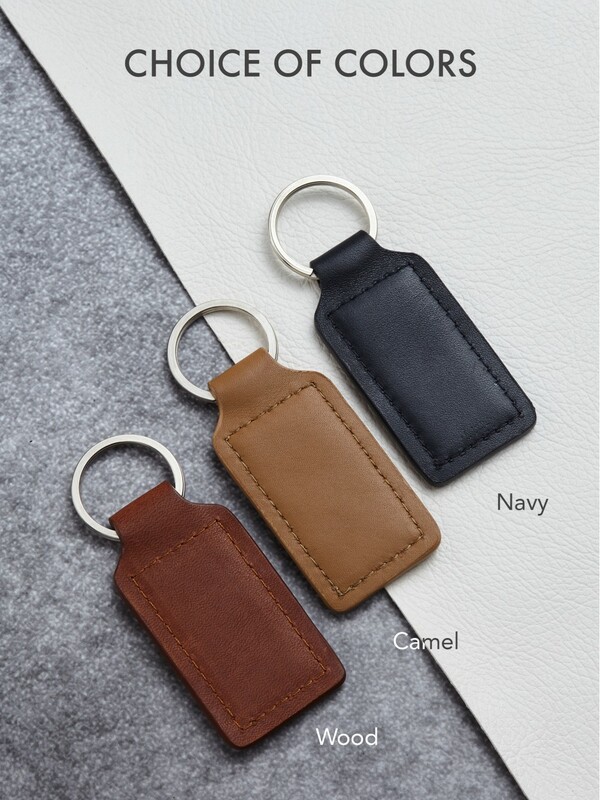 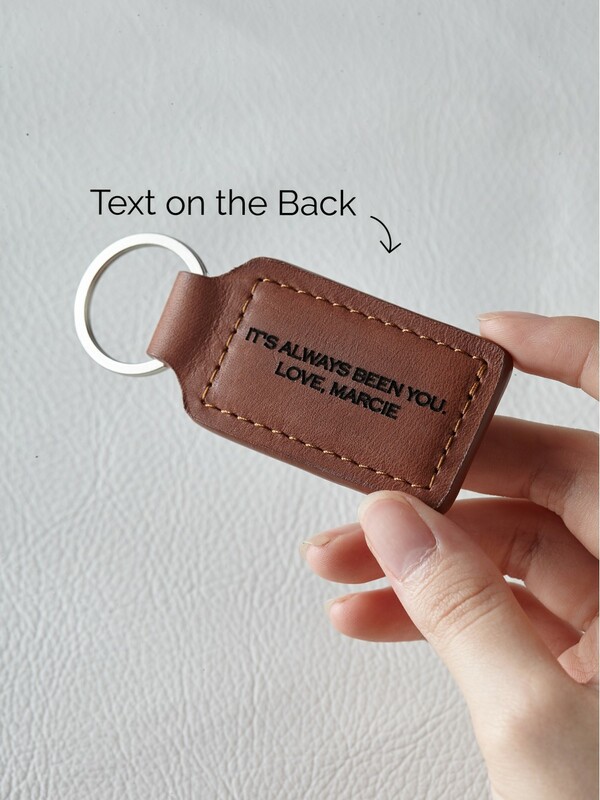 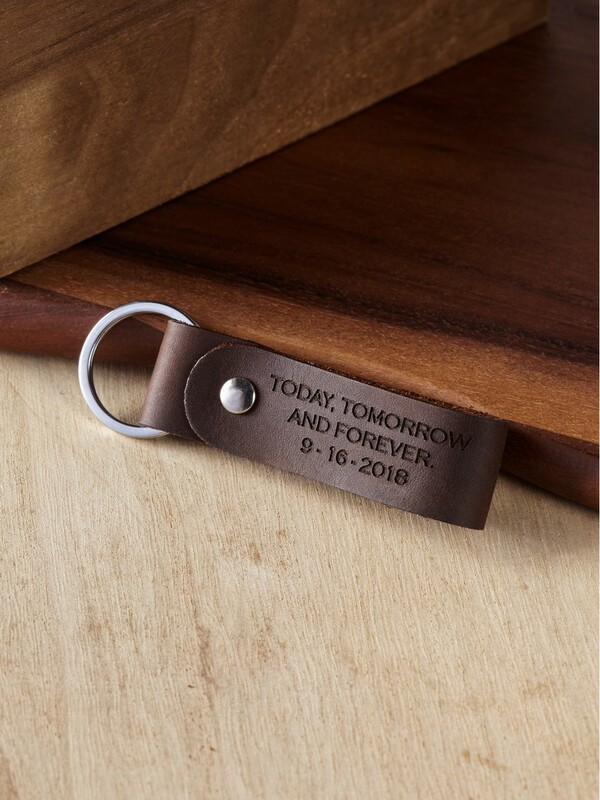 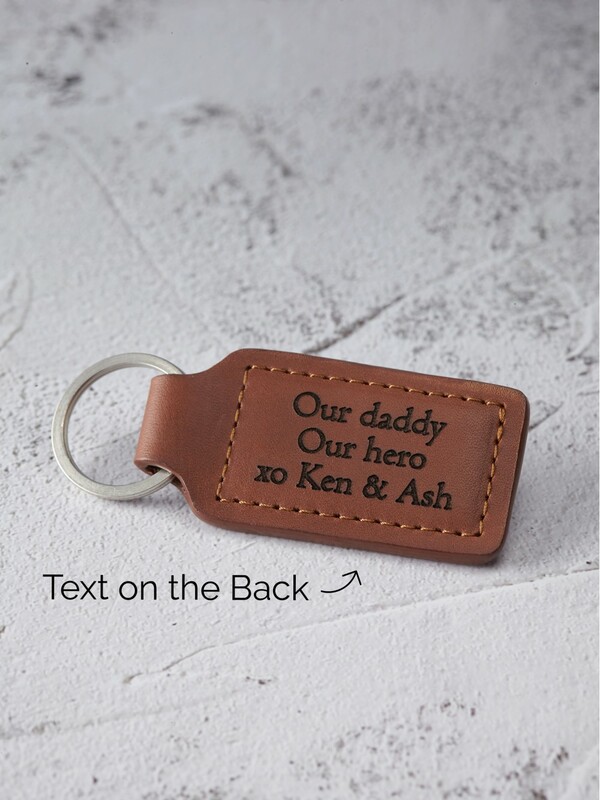 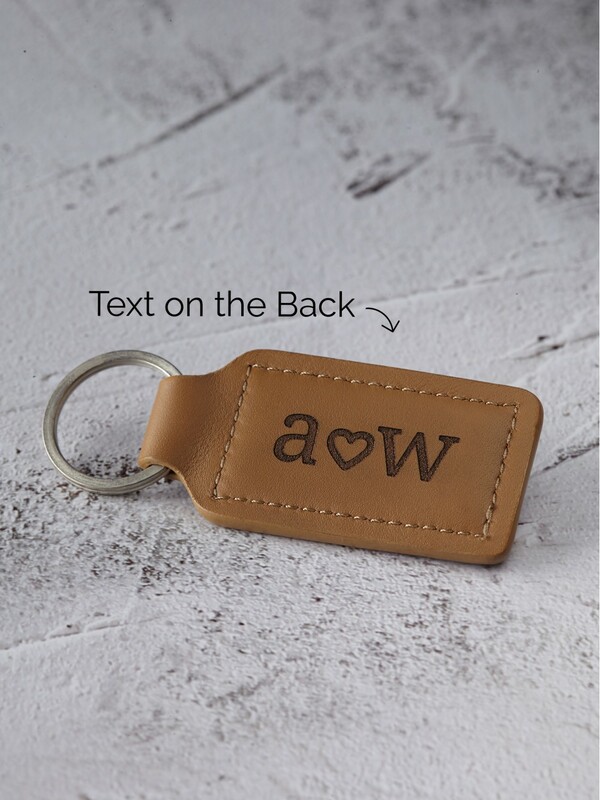 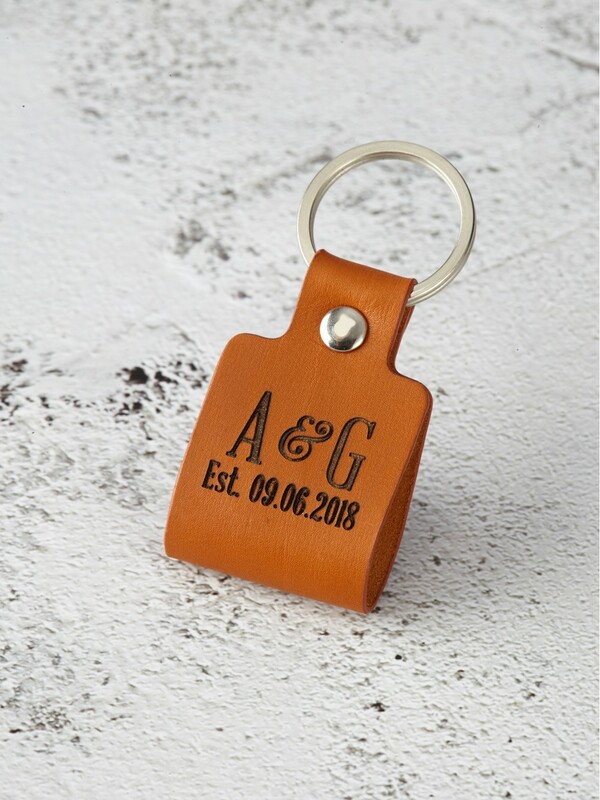 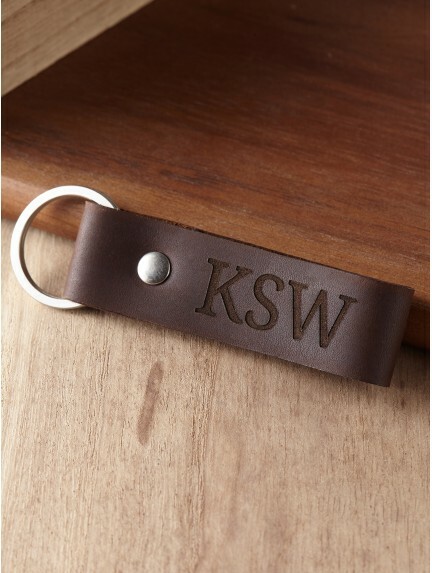 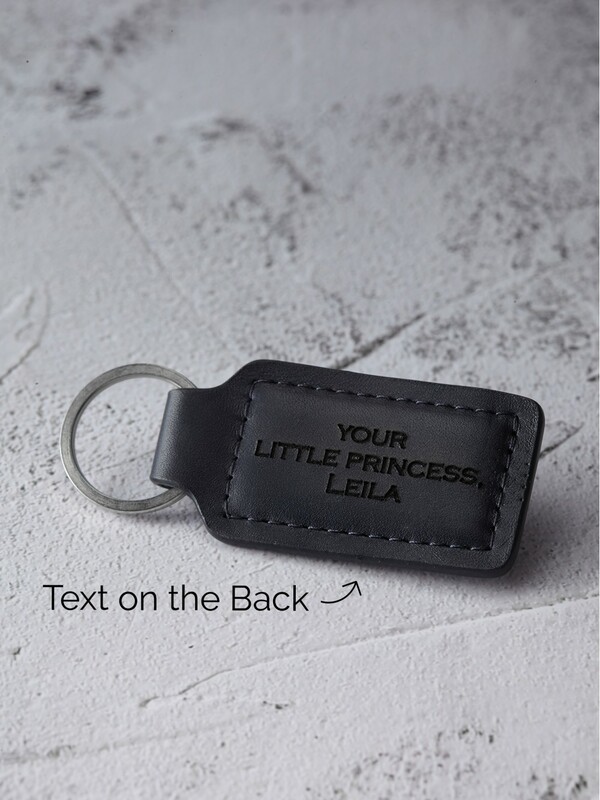 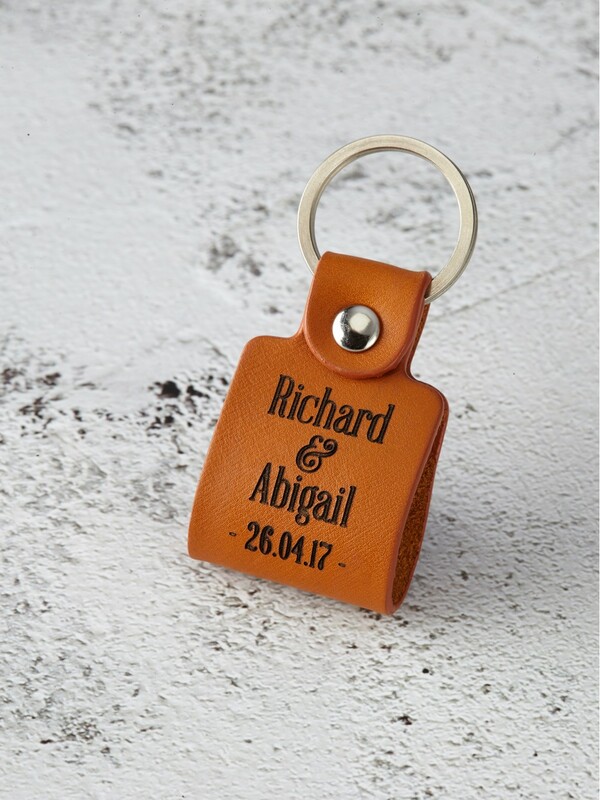 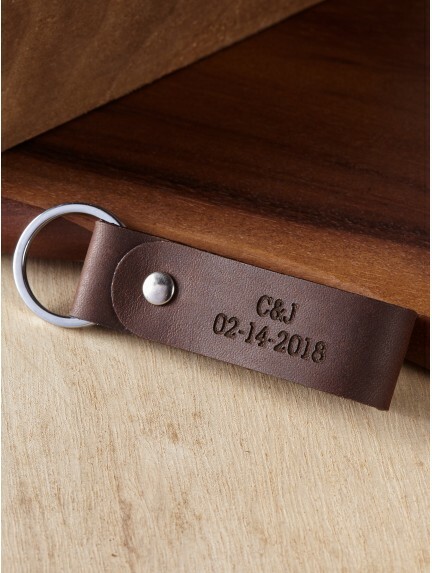 Handcrafted to order in our workshop, our personalized leather keychain can be engraved with anything you wish, from special coordinates to long message. 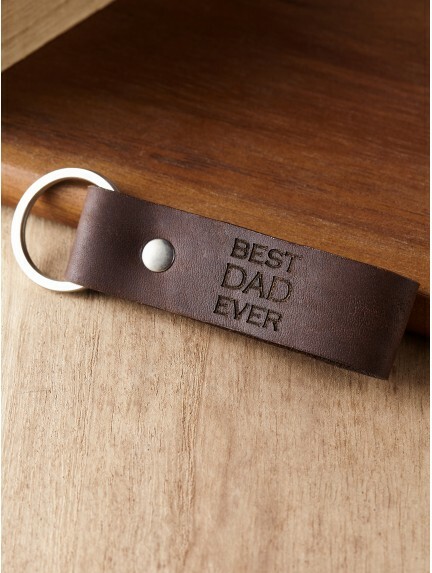 Etched with funny saying such as "Dad est." 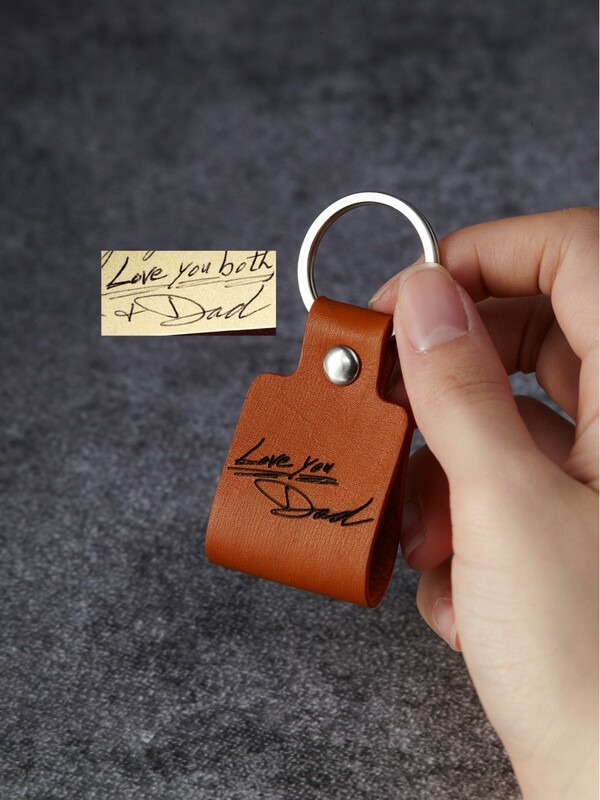 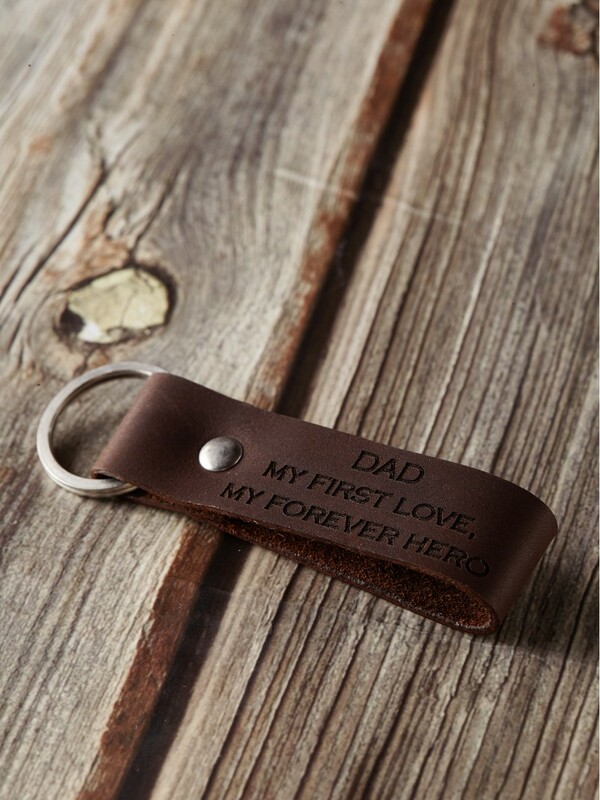 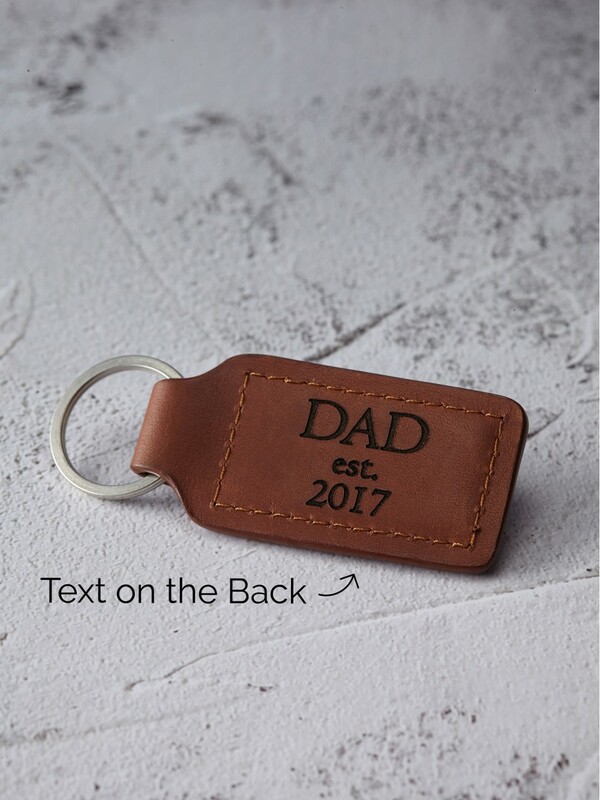 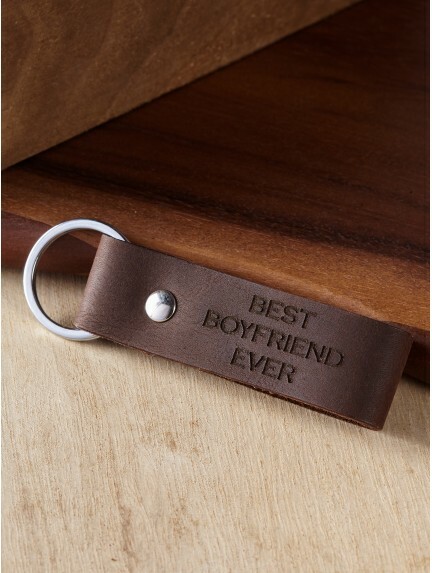 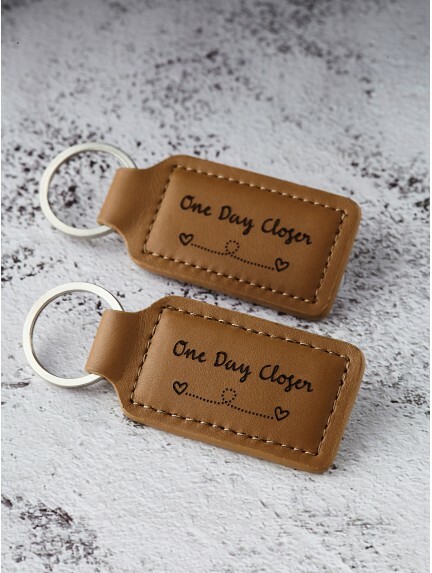 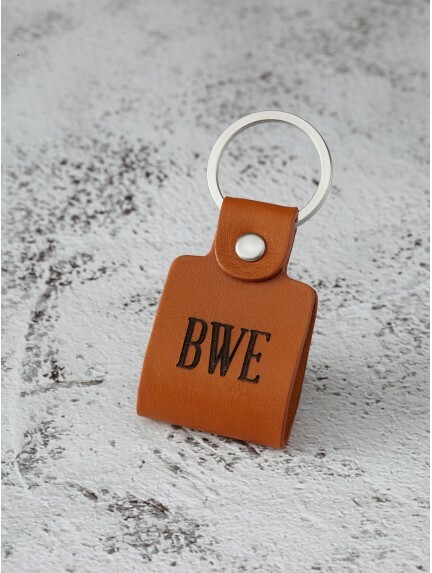 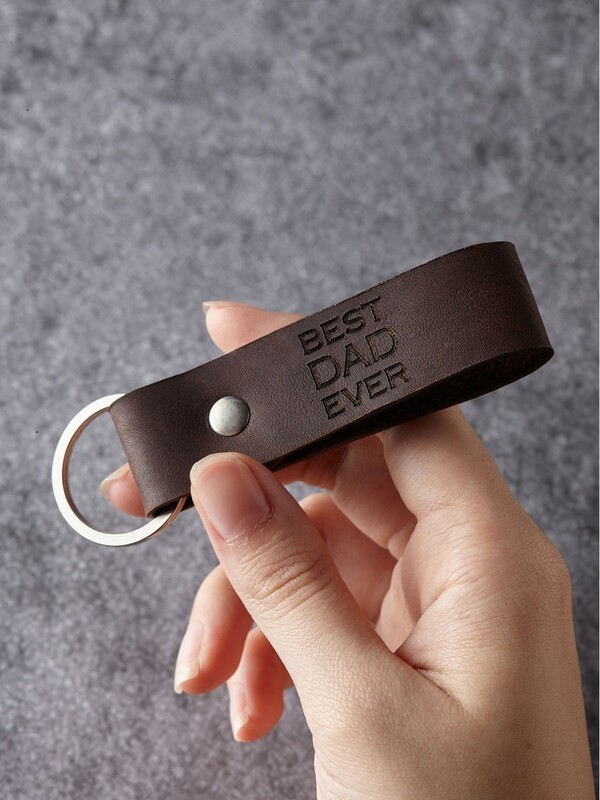 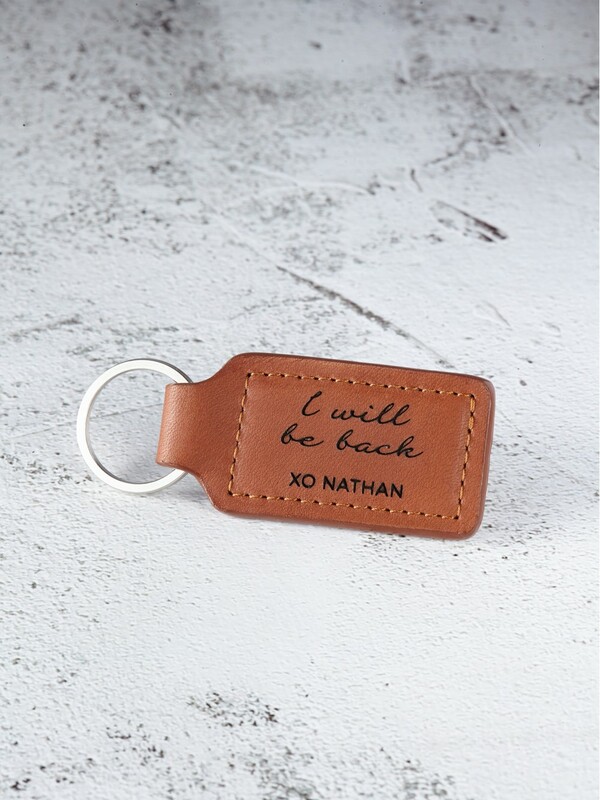 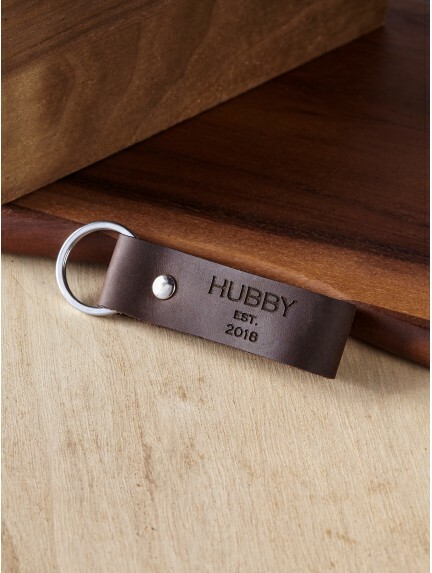 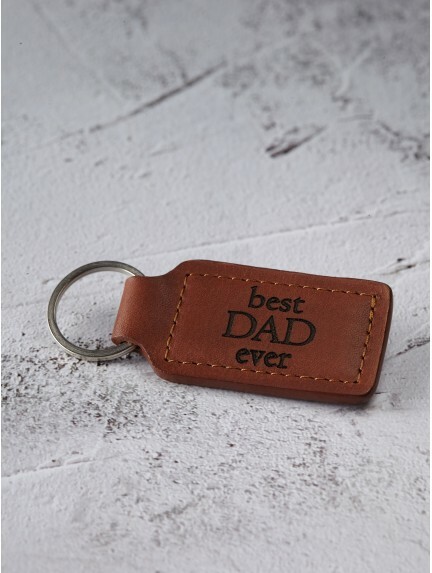 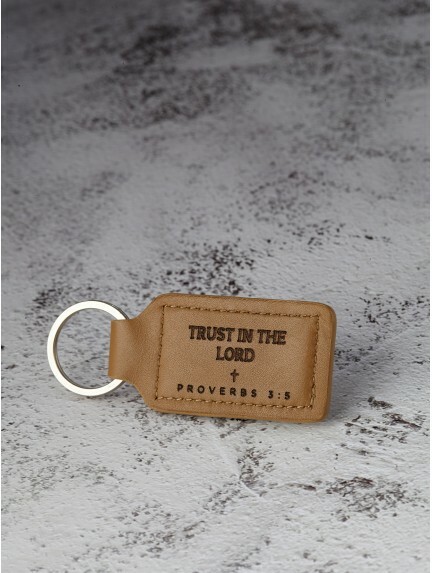 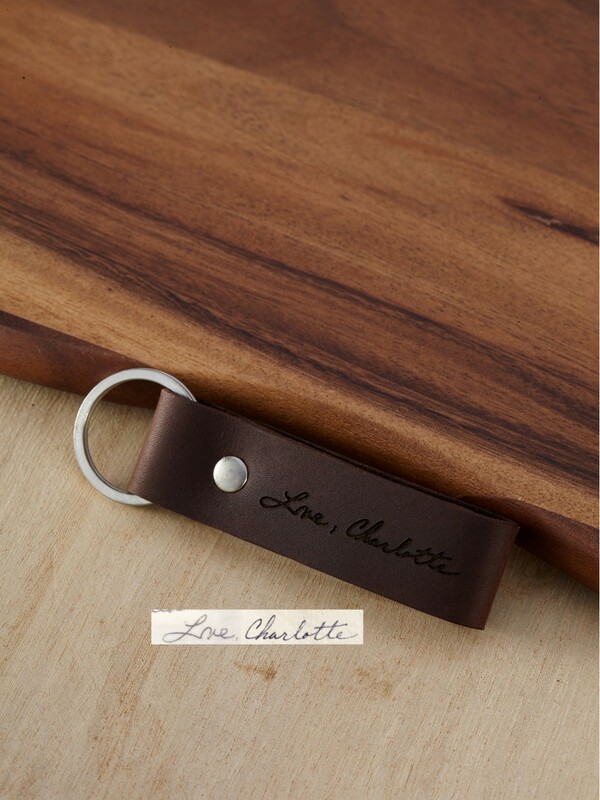 "Best Boyfriend Ever" and your chosen message on the back, these custom leather key rings are great gifts for men for any occasion from Father's Day to Christmas and graduation. 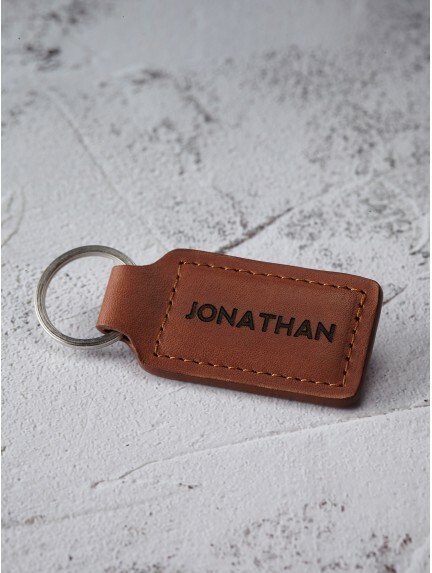 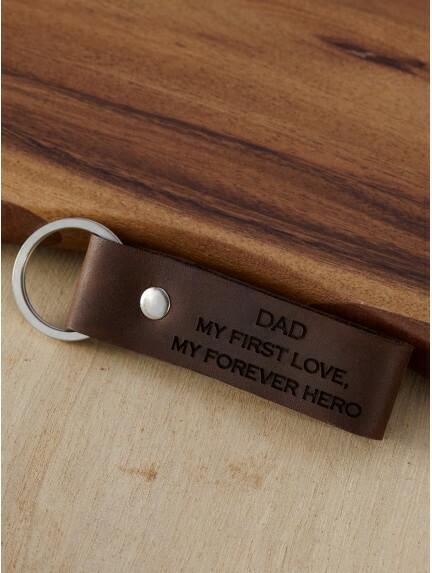 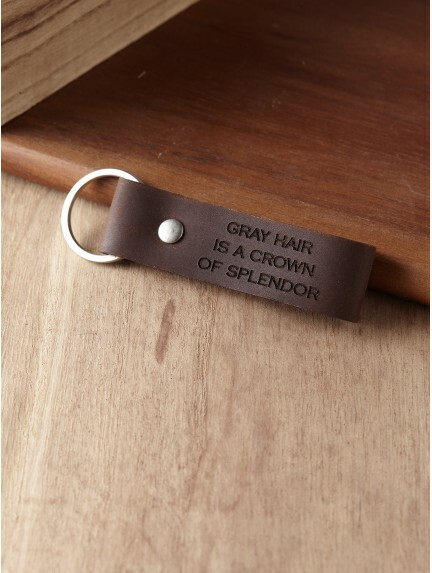 From Stars War fan to man of the family, you can find gift for any man from our range of cool keychains for guys. 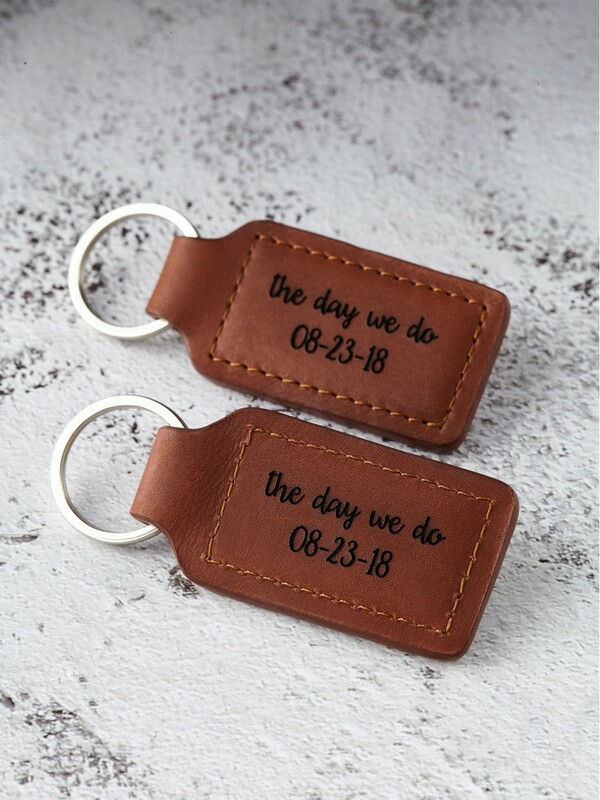 Bride to Groom Gift - Husband est.